The downtown flagship store in a heritage building on Montreal’s main commercial artery, Sainte-Catherine Street, has unique design features specific to this location. Upon entering the store, an oversized “Rain of Light” chandelier suspended above a mannequin grouping reinforces the message that H&M is an au courant fashion destination. Mirrors on the vertical surfaces of the escalator atrium and columns add depth to the space and simulated skylights above the atrium to allow the light to cascade down to the men’s department in the basement level. 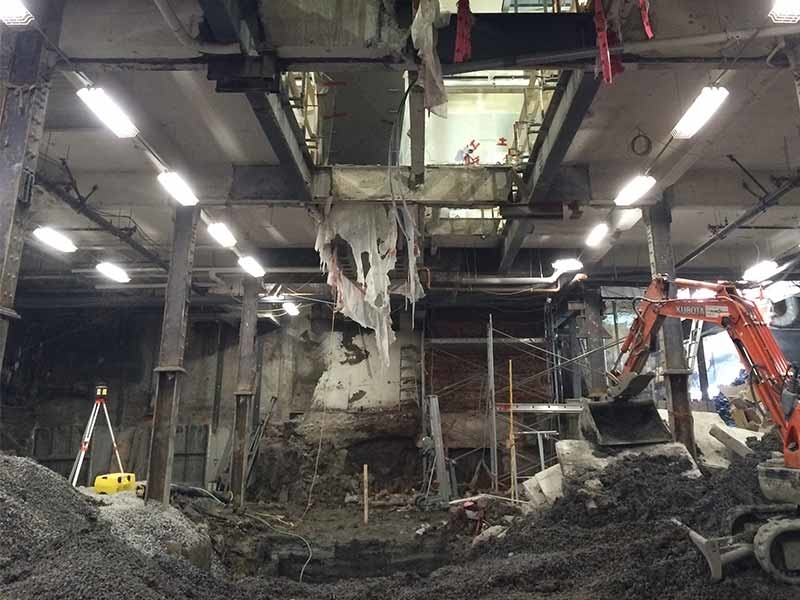 The existing basement level was excavated an additional 6 feet in order to accommodate supplementary sales area for the relocated men’s department.